Base on 34 years experience, Leizhan is capable to provide state-of-the-art paper machinery and optimum paper making solutions for paper mill. Leizhan optimum refining system can highly improve the performance and efficient of coated board paper manufacturing process. Leizhan high efficient Refining machines like ZDP Series Double Disc Refiner, DD Series Double Disc Refiner, ZDJ Series Claflin Refiner, ZM Series Conical Refiner are available for paper mill to produce high quality coated board paper. 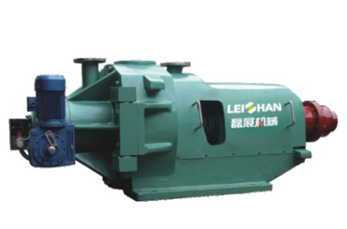 Leizhan refining solution can optimize the refining process of paper mill and it can be used for pulping and improving the beating and breaking degree of paper pulp. 2. Be suitable for various raw materials. 3. Suitable various raw materials. 2. Long refining area, fully process finer, strong ability to cut fiber. 3. Rotor and stator have various tooth profiles. 1. Improved slurry beating degree. 3. Casing lined with stainless steel can increase service life. 5. Rotor and stator adopt various tooth shape designs.